I consider the last statement above as false. For example, in Naperville, Illinois, I am currently opting-out of a wireless electric smart meter (and have been for 5 years), and there has never been a warning that this opt out is “for a brief period” of time. That’s it on the topic of “Health and Safety”? If you have read other articles at this website, you can surmise that I am not impressed with such a simple and misleading statement as above. The fact that the “device complies” with FCC guidelines is irrelevant to safety as the FCC does not actually have a standard for safe levels of exposure to RF emissions . “FCC regulations were driven by thermal effects, by tissue heating. We know that any long-term effects of [radiofrequency electro] magnetic fields are going to result from effects that occur at non-thermal temperatures where there is not obvious tissue heating. 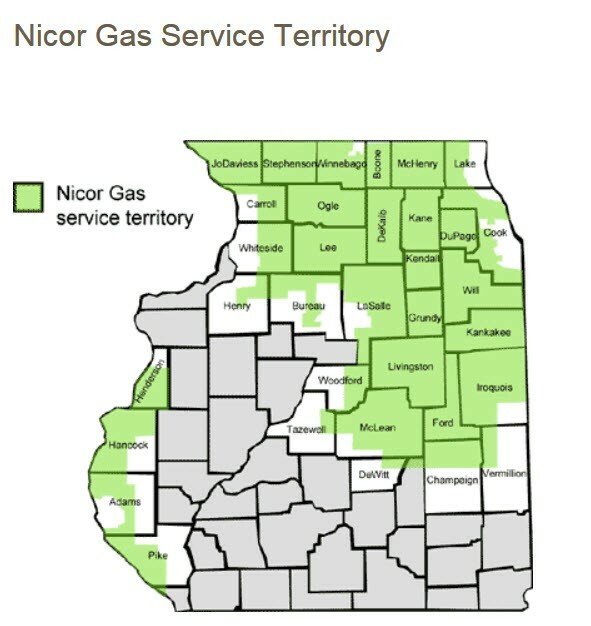 As you saw above, Nicor Gas is not currently offering an opt-out or deferral option for its smart gas meter upgrade program. But then it didn’t ask any customers how they felt about having a wireless transmitter installed upon their property or if they have any health or other concerns. If you are disturbed by what you have read in this article and are a Nicor Gas customer, I suggest you call 888.Nicor4U (642.6748) regarding your opposition and demand an opt-out program be implemented. If they get enough calls, maybe they will respond favorably. Additional Information: Per the link below, Nicor Gas chose a Sensus FlexNet® communication network and radio modules for its so-called gas meter modernization program. The Nicor Gas meter upgrades are properly characterized as “smart” meters since the new Sensus radio modules enable 2-way communication, and the “FlexNet” communication system allows collection and transmission of granular consumption data. 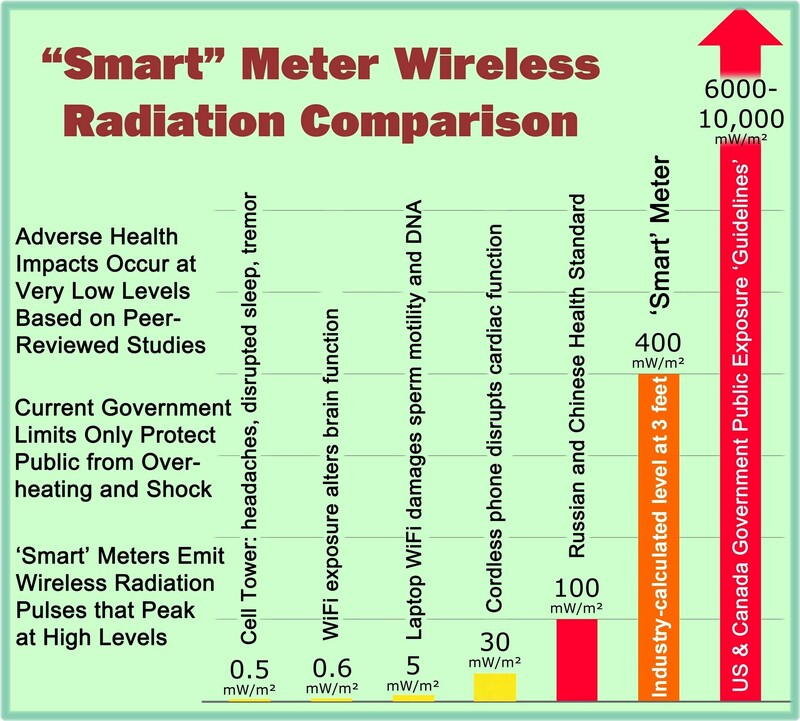 This entry was posted in Smart Grid, Smart Meters, and RF Emissions and tagged Health Effects, RF Emissions, Smart Gas Meters, Smart Meters. Bookmark the permalink. I have heard of utilities playing “hardball” but that seems extreme. Generally their approach might be to threaten a disconnect if you don’t agree to a meter upgrade. I’m not sure of the basis for a lawsuit and would be interested in more details. Tinley Park here, i was told of an impending lawsuit, any updates on your case? I know there are some in my neighborhood that has opted out of ComEd’s smart meter. I also know there are those like me that are sensitive to RF and microwave emissions. I have been seeking those like me to join me in an iinjuction and declamatory judgment in a class of individuals. All I need is a list. There is power in numbers. I called Tribus (company that Nicor is using to install their “Meter Modernization”) today and asked them how often this “Meter Modernization” is transmitting information. The guy on the phone stammered around a bit and said someone will drive by or walk by once a month and take the reading and that it will only transmit that one time. Then he said, the reading will be taken once a month between the 11th and 15th. He was not very accurate and did not make a lot of sense. He did not seem to know for sure what the process is or how these devices work. Or, maybe he does know exactly how they work and they don’t want the public to know! The quickest response is that I would say the Tribus person does not know how they work. He seems to be describing how certain AMR “drive-by” meters work but not the “advanced” AMI type meters these are suppose to be. One of my other reply comments for this article provides more information. I was told by Tribus that the meters use cellular technology very similar to comed’s “smart meter” and I was threatened wiuth a lawsuit and told they would peruse it because it is their device, I told them they do not have permission to access my property and the meter is on a gated premises, if an installer appears to install the upgrade he/she will be arrested for trespass and maximum charges will be filed, also am retaining a lawyer to speak on my behest, these devices are NOT safe, have NOT been tested and this will not stand! I found this information on Nicor’s website. Not sure if this is accurate information, seems to conflict with what I heard from Nicor personnel who said they will transmit to the nearest cell tower once a month. Handheld or vehicle reading would probably be ok with me, its the constant transmissions or a powerful burst that would cause problems and I would always be suspicious of the accuracy of the readings. “How Does Automated Meter Reading Work? I would say that the information in that link references an old pilot for AMR (one-way) type meters. This gas meter upgrade being rolled out is definitely a 2-way (AMI) “smart” type program. There is no detailed literature available for review by the public, which is part of the problem, but the information I have been sent via email indicates that the meters transmit to a fixed collector system once per 4 hours with hourly data. Generally, however, any AMI network also involves network management traffic (in addition to data transmissions), and I have not been able to get any information on the full profile of RF meter emissions.